Hello ... Hello ... my old friends ... It's great to see you once again! 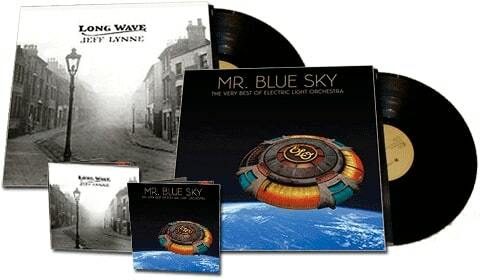 It seems right to me to finally review those twin Jeff Lynne albums "Long Wave" and "Mr. Blue Sky: The Very Best Of Electric Light Orchestra" together after the dust had settled on the excellent promotional campaign by Jeff and directed by Craig Fruin - and after a most successful debut in the official UK Top 10 Album Chart this week following their release last week on Monday 8th October. For me, the apparent controversy amongst the ELO fan base about the motives for re-recording those ELO classics - completely bereft of any of the former members - by the man who co-founded the band, wrote almost all of their songbook, sang and played on all their recordings and produced practically every track is solved if we treat both albums as Jeff Lynne albums. "Long Wave" being an album of interpretations of songs that inspired Jeff and delighted his parents and "Mr. Blue Sky" being an album of ELO songs given the due attention and care of Jeff's multi-decade production experience coupled with desire to upgrade said songs to his own preferred standard, a decade or so after taking full ownership of the ELO trademark. Indeed, if one looks at the packaging for MBS, nowhere does it state that is BY the Electric Light Orchestra. If anything, it identifies Jeff as "Mr. Blue Sky" [the 'artist'] and certainly not ELO - although the record buying public will and do perceive it as an ELO recording. A position not dissimilar to the confusion that used to surface when ELO Part II were marketed and promoted as ELO [through no fault of their own] by some misinformed venues and promoters. "Long Wave" [Frontiers #FRCD569; #FRLP569] really is a class album. 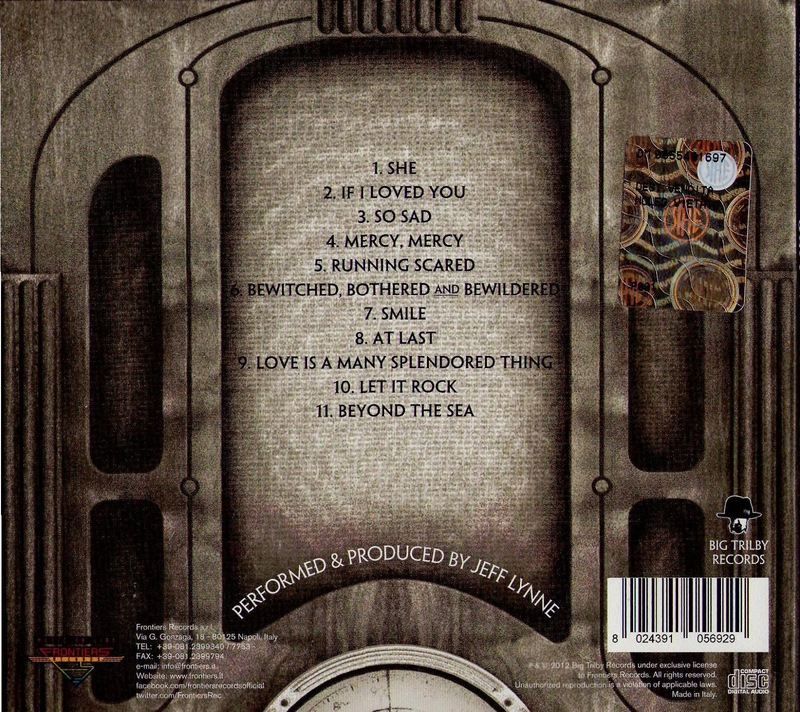 The risk involved in taking on the very songs that Jeff chose to record in his own style on here was immense. But he has pulled it off. Absolutely. From the opening chords of the transformed "She" to the bouncy closer "Beyond The Sea", we are treated to an avalanche of the recording and production prowess that Jeff is famed for. An example of the sheer excellence of the work here is the very unlikely inclusion of that Etta James classic "At Last". Who else could turn a signature female soul standard into the striving ballad that you find yourself listening to ["Time After Time"] on "Long Wave"? Jeff's nod to his pal and icon Roy Orbison with "Running Scared" is spine-tingling and reminiscent of his famed ELO ode to 'The Big O' with "Endless Lies". The same praise can be said of all of the tracks as well as the simply beautiful "Jody" [Japanese edition only]. If I had to pick out my favourite songs on LW, I would have to select "At Last", "Love Is A Many Splendored Thing", "Running Scared" and "Jody". But it is so difficult to pick out highlights from a set of recordings that are a highlight in and of themselves! My only complaint is that even with the inclusion of "Jody", the whole album is woefully short at just under thirty  minutes. So then, what of "Mr. Blue Sky" [Frontiers #FRCD570E; #FRLP570]? Firstly one should not forget that Jeff plays [nearly] everything on both albums. After all, they are both Jeff Lynne albums [see above!]. That said, those well-loved and familiar classic ELO recordings cannot be erased from history simply by their being re-recorded by Jeff - as evidenced by the strong chart return of "All Over The World" concurrent with the success of LW and MBS. My view is that you get what you expect with "Mr. Blue Sky: The Very Best Of Electric Light Orchestra". You listen to, tap your foot to and sing your lungs out to those ELO songs you love and cherish - as selected by and recorded [solely] by Jeff Lynne. And that is no mean feat. To completely reinterpret recordings originally made well over thirty  years ago - by a septet of musicians - but now as a solo artiste is an astonishing accomplishment and a testament to the talent and unrecognized musical genius that is Jeff Lynne. All the songs on MBS are instantly recognisable and undoubtedly ELO - but performed by Jeff. If I'm honest, I do miss the percussion and drumming of Bev Bevan, the adept keyboards of Richard Tandy, the probing bass and co-vocals of Kelly Groucutt and the virtuoso violin of Mik Kaminski. But MBS is an up-to-date album meant to re-launch those wonderful songs for the 2012 generation [and beyond] as well as the existing ELO fan base. And this it does more than ably. I like MBS a lot. All the songs you expect to hear are there although I personally would have preferred "Ma Ma Ma Belle" [from the iTunes 'Deluxe' Edition] to supplant "Don't Bring Me Down". The whole album is a pleasure to listen to and a wonderful introduction to the world of ELO. Of the versions on MBS, I have to say that the punchy new "10538 Overture" is superb and does not lessen my fondness for the original co-produced, of course, by Roy Wood. I'm also of the opinion that third incarnation of "Do Ya" is no lesser a companion to the ANWR and Move versions [although I will always love the original first recording!]. The new song in the collection - "The Point Of No Return" - fits nicely into the collection and would have very easily fitted into the mould of "Secret Messages" or "Balance Of Power" in and of itself. "Evil Woman" still comes out as it did in '75 as does "Showdown" from '73 and not a few others. The only song, for me, that feels [and sounds] out of place on MBS is my all-time ELO favourite "Can't Get It Out Of My Head". Maybe it is because it is cut adrift from its lush "Eldorado" surroundings but to me it sounds a little hollow and literally an echo of the original. 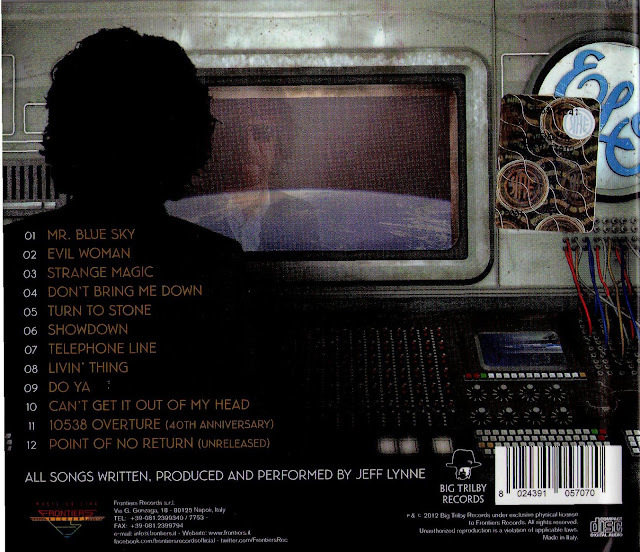 But overall and undoubtedly, MBS is a must buy for any Jeff Lynne and/or ELO fan - old or new. Because it is ELO by Jeff Lynne. Excellent review. Agree with everything you've said. Overall, the two albums of the year for me. I think both albums are TERRIFIC,and just shows you that Jeff is still on top of his game at the age of 64.I am glsd Frontiers are releasing MERCY MERCY as the official single, and the video should do well in the music channels, and a bit of promotion will be good for LONG WAVE.Although i still think SHE should be released for the XMAS market, could be a massive hit for Jeff.I hope there is some kind of promotion and release date for AUSTRALIA,which still does not a have release date yet.MBS is also great and enjoying a fresh listen to these classics, now we have two great versions to enjoy.They should release POINT OF NO RETURN as a single to promote the album, its such a catchy tune and would do well i think.